"Photos" page LOTS of photos!! Both Nebolish and Boxer!!!! My love for 4 legged friends started before I could really walk, It continues today.... I have shown and trained dogs since I was 13 years old started in 4-H, then in High School I was a Jr. Leader and taught obedience and showmanship to Elementary kids. 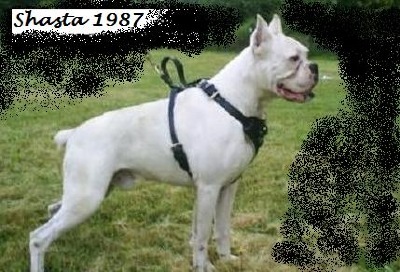 In 1985 Boxers came into my life, from a TOP Boxer Breeder, European bloodlines. The puppy was a White, supposed to be destroyed but thanks to a kind hearted ABC member, who gave me my first Boxer, knowing I would love the dog regardless of color, Together we did Schutzhund and Agility. 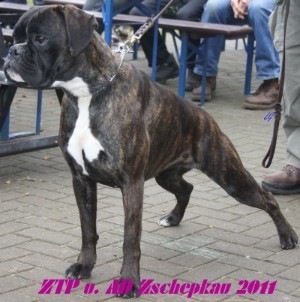 That is when I found out the awful truth about what many Champion Top Boxer breeders did with the White Boxers, back then they either destroyed or hid them out, How could so many ignore the HISTORY of the Boxer...FIRST BOXER CLUB FORMED IN MUNICH IN 1895. 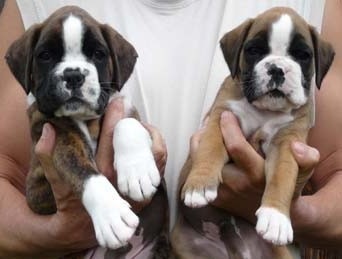 The founders drew up the first Boxer Standards as a guide for their future breeding. 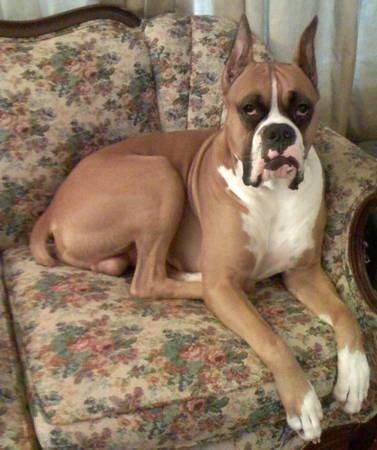 Much of this first standard still remains in the boxer standard of today. As any good dog club should, they held a dog show as soon as possible. left to right: Jack-Spezi von Angetor, Bella-Cornelius, Wally-St. Salvator, Zehnter's Rude, Blocki-Ohlmulller, Unknown, Rocki-Ohlmuller, Meta-Augusta, Mirzl-Fidelitas NOTICE ALL THE WHITE DOGS< COULD THAT BE A BLACK IN THE MIDDLE? 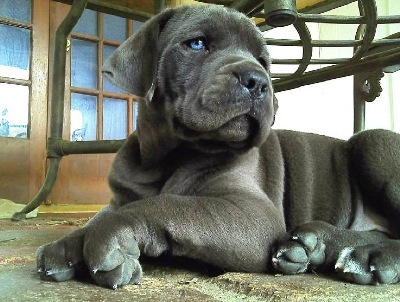 Mastiffs we are planning to breed one litter before the end of year, accepting bookings NOW! 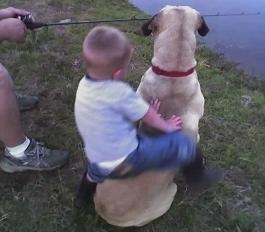 Dogs and Horses are my Therapy... an Integral part of life. For Original Working AKC Boxers and Nebolish Mastiffs scroll down, lots more photos and information just take a moment to look at ALL pages. 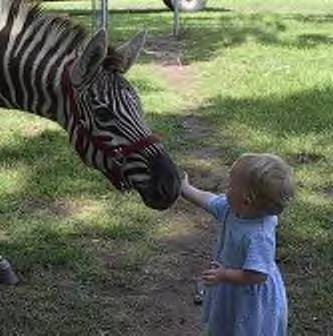 If you want Horses Click on at top "Contact Horses"
2020 planning Babies on the ground! This is a wonderful year to get a new Baby!!! Email for detail! Planning 1 Nebolish litters before end of 2017 reserve your.... PUPPY NOW!! Nebolish Keegan Litter due hopefully Blue Babies...a limited amount of Bookings Remain, for 2017 Babies planning Fawn, Brindle, Blue. 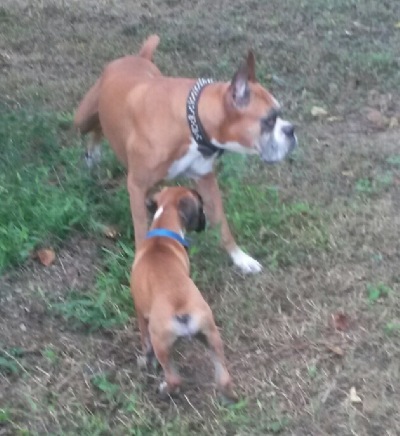 Boxer Babies Planned for 2020, August Euro Texas Buddy Babies, OMG 1 Brindle Boy available real beauties. Ishie x Pita Brindle pups planned breeding October Ready just in time for Christmas, book NOW! We produce Euro Texas Boxers, this is our dream of Importing Boxers from some of the best kennels in Europe, crossing them back to our bloodlines here in the USA, and producing Wonderful Healthy puppies. Allowing Good people to own Great dogs! At a fair price. My first Import was born in 1999, I have been working on this a long time! Our litters have at least 1 sometimes more direct Import from Europe in the 3 Generation pedigree. This gives you Generations of Health Tested Bloodlines, Real Boxers with Brains, and Substance like they should be. Breeding for Longevity and Temperament. Did you know if your puppy is from a dog from Europe it will have the country his parents are from on the AKC Registration. It was brought to my attention many puppies are being advertised 100% European, and neither parent came from Europe. Being priced like they were Direct Imports. Maybe great pups, no Euro on there pedigree. Be aware. Accepting Bookings NOW! Only great homes need apply. We are picky who own our dogs, only producing a few litters each year. Its up to us to find them the perfect family. Email for an application today! *Nebolish Mastiffs are Big, healthy, happy, babies! Boxers for 25+ years, we raise the Original Working style Boxer. 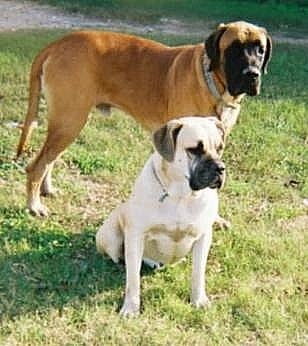 **Nebolish Mastiffs, since 1996 We have raised them over a decade now as I was recently told by someone getting there 3rd puppy from me, they have enjoyed My dogs since the turn of the century!! Our breeding philosophy, and love apply to both breeds. To be your companion, for a long happy life Our dogs are cleared prior to considering them for breeding, with more than just testing but many years of actual tracking our puppies health and temperament. We have some of the best European lines, these are Boxers imported directly from Europe, Lots of Working titles in pedigree. 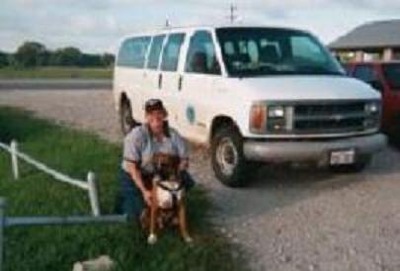 In 2002, Dagr, was the ONLY Boxer, that was an actual working K9 for the state of Texas! We competed in the NNDDA Nationals. Nothing but cops and dogs. Imagine the snickers until this woman and her Boxer placed Top 20 at the Nationals, ahead of many other Officers and there K9s. NNDDA Certified Narcotics Detector dog. Worked and trained by me, a Narcotics K9 Officer for the State of Texas. Outstanding Daughter of Amber, my CZECH import IPO 1, who Received ZTP, her sister Paris is a beautiful Reverse Brindle who will produce European pups, we have the BEST of the best. Look at European dogs you will see they have there dewclaws, As of 2014 we will not remove the dewclaws on our pups, Mastiffs and Boxers. Because of so many requests, and many of them going to working homes. Leave the dewclaws on! According to M. Christine Zink DVM, PhD, DACVSMR, breeders should not remove the dewclaws in there puppy's front legs, especially if you plan on doing any kind of sport with him. The best evidence for leaving dewclaws intact is right there in every dog anatomy book. 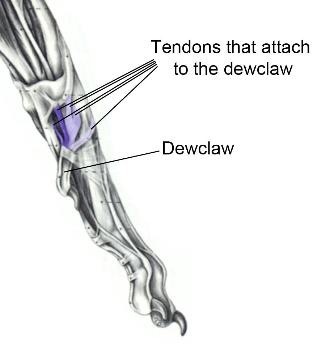 The dewclaw is attached to FIVE tendons. Tendons are attached to muscles or muscle bundles. So that is five muscle bundles in the leg that will atrophy (shrink from not being used) once the dewclaw is cut. Additional evidence comes from the fact that working dogs will get grass and dirt stuck in the dewclaws, indicating that they are being used, and from photos showing the dog's foot on the ground and the dewclaw dug into the ground. The pressures on the dog's foot are the same, but if there is no dewclaw there to grip the ground, the pressures will go to the elbow, the other toes, the wrist, the shoulder possibly causing unsoundness and arthritis later on. Gratefully, most breeders in Europe recognize the important function of dewclaws and don't remove them. At Jaderanch we too understand this need and do not remove them. 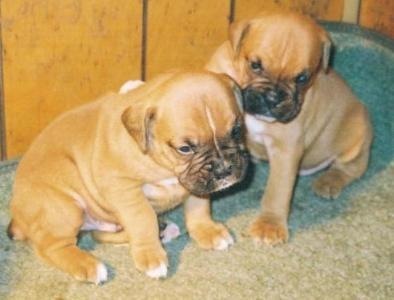 On our Boxers or Mastiffs. HOW THE DEW CLAW IS USED BY THE DOG: http://www.youtube.com/watch?v=yp2xHj_NJn4 As to the possibility of injuries to dew claws. Our Dogs are born with only front dewclaws, Most veterinarians will say that such injuries actually are not very common at all. And if they do occur, then they are dealt with like any other injury. In my opinion, it is far better to deal with an injury than to cut the dew claws off of all dogs "just in case." Our goal is to produce healthy dogs, so you can have them in your family for many years. 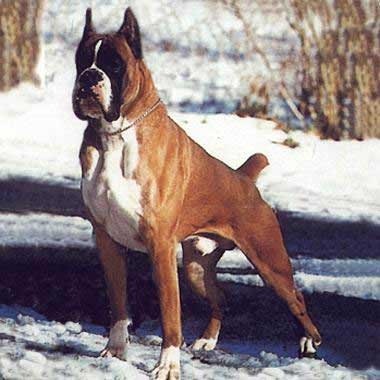 No matter what lines your Boxer comes from, Europe or American you want him to be healthy and come from a long line of Healthy dogs, this is what my ideal Boxer is! 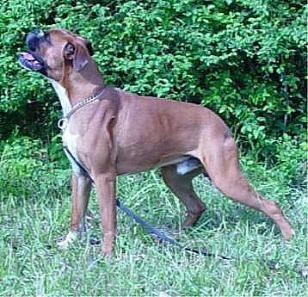 We have thru many years of breeding produced some of the most incredible Boxers, owned and loved by many who will be happy to give you references. 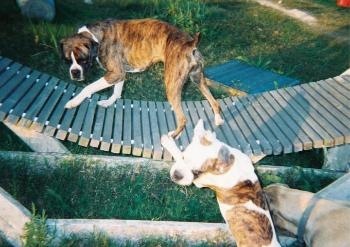 My one in a million Boxer- Tooma, photo at 12 years, his black mask turned Gray, you could hardly see his wishbone, we loved this dog! He is the puppy in bucket at bottom of page. Our Nebolish Mastiffs are Registered with DER or CPR, we are an accredited breeder with the Nebolish Mastiff Club of America, upholding there standards. NCA- Nebolish Club of America. All our puppies are Registered and Microchipped. and Show Champions in our pedigree, its just NOT the focus of our breeding program. To be part of your life for many years...Pedigree is just a plus. Agility is a wonderful way to bond with your puppy, Great fun!! Talk about learning to listen Try it! 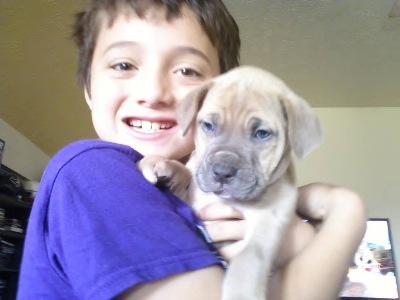 We have both Fawn and Brindle pups looking for a few great families! This is it, they are incredible and agile. I only wish I could take Credit for creating this wonderful breed. Although I can say I have been instrumental in Nebolish Mastiff Preservation. founded in 1986, to preserve and uphold the integrity of the breed. There you can find the History and Breed Standard. Be certain your breeder is a member of the NCA or you may not get a true Nebolish Mastiff. There are Generations of Nebolish, in our pedigree. 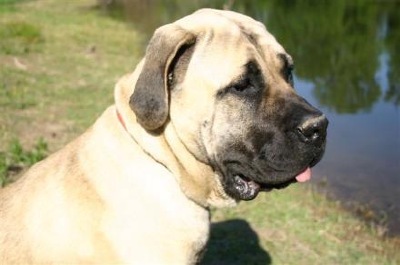 The Nebolish Mastiff Registered with Domestic Exotic Registry (DER) or Certified Registry (CPR) and is Recognized by the Canadian Molosser Association(CMA) for those who want to show. They have several events annually. This breed was developed in the 1960's to improve the Old English Mastiff, Nebolish are Healthy and...DO NOT have a DROOL problem...Making them the ideal family dog, they want to be part of your family. I seen my first Nebolish in 1976, at the Clark Fork River in Idaho, he was playing with all the kids and swimming in the river. a few years later, after meeting people who raised them, I finally got my Nebolish, in 1996. 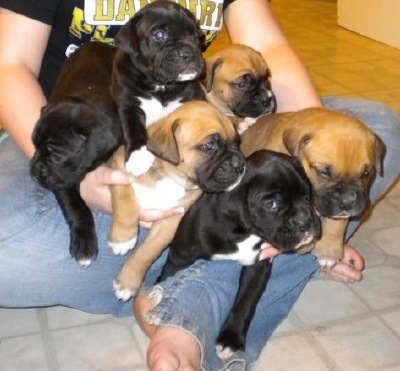 I was convinced to try Breeding, being experienced with the Boxers. 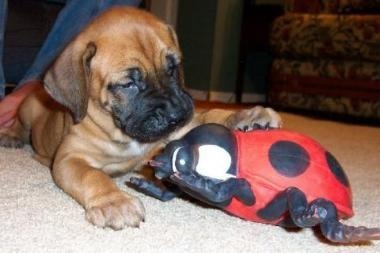 love to talk Mastiffs or Boxers! "Judge" Brings a strong bloodline to our Kennel, with great Temperament and looks. 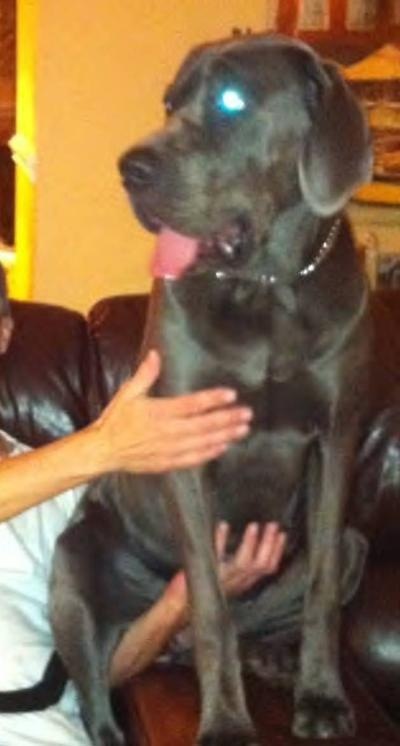 Judge is the "man" photo at 2 yrs old and 165lb, he is perfect. Rocky and Elky are still a huge part of our line, there Bloodlines are incredible and will be a wonderful cross to Judge or Keegan. 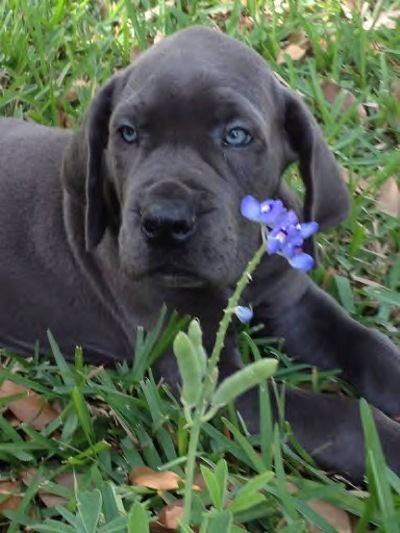 We added a Blue Nebolish Male "Keegan" to our line, photo at 12 weeks, he is from import Polish bloodlines, an incredible cross to our Nebolish girls. Kimber is the Blue Female I chose to be his first breeding! At 16 weeks "Keegan" is already 25" tall and 52lbs. He put on 20lbs in one month feeding Raw Meat diet and Taste of the Wild kibble. Thanks for the tip from Lars at Majestic Kennel. Keegan sired his first litter, wait till he fills out! 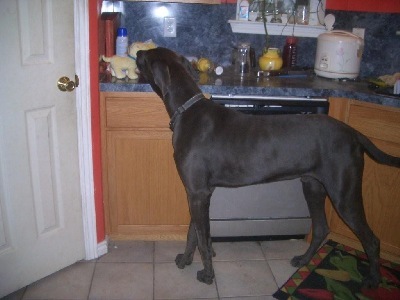 Keegan, as you can see he is as tall as our Dishwasher, at the wither..so you get a size idea.. What a difference a few months make! They do grow fast; be certain you want to give up your couch before you let them start up there as a puppy. The pups we are producing have perfect temperament, looks and health, just like there parents, grandparents and greatgrandparents. We take extra care and love them all before they come to live with you. We start them right and I know your going to enjoy raising them. EMAIL TODAY- deenaprecision@gmail.com for more information on our planned litters.